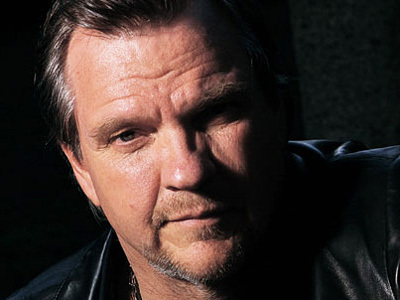 Meat Loaf shocked fans by collapsing on stage in Pittsburgh, Pennsylvania, on Thursday night – but he recovered and continued his concert. It had been thought he’d suffered a heart attack. He has an affliction knowns as Wolff Parkinson White syndrome which affects the working of his heart. Only one in 1000 people have the problem, and sudden death as a result is extremely rare. Limp Bizkit frontman Fred Durst has asked fans to help a UK family raise £45,000 to help their son, who suffers from cerebral palsy, lead as near a normal life as possible. Young Seb’s mum Amy explains: “Seb was born 14 weeks too soon. He’s now three and can’t sit, stand or walk unaided. Everyone who meets him agrees he’s an absolute pleasure to be around. He brightens up the day with his gorgeous eyes and incessant chit-chat. But I would say that! Former Kyuss bassist Scott Reeder will stand in for Nick Oliveri on four Kyuss Lives European dates, following the latter’s arrest after a four-hour stand-off with SWAT specialists at his LA home. He’ll appear with Kyuss Lives, which doesn’t feature original mainman Josh Homme, on Belgium and Germany this week. Coheed & Cambria bassist Mic Todd was released from prison on bail last week, where he was being held under suspicion of holding up a pharmacy by telling staff he had a bomb. Todd posted a $25,000 guarantee, although it’s not clear where the money came from. Lynch Mob singer Oni Logan quit the band two hours before they were to leave on tour, says guitarist George Lynch. They’ve recruited Chaz West of Bonham to stand in, saying they won’t allow Logan’s decision to affect any of their US dates. A statue of Chuck Berry was unveiled in his home town of St Louis, Missouri, at the weekend.